Promotion of highest standards of healthcare education with total commitment through training and empowering aspiring individuals by providing a unique learning experience to develop their potential with the aid of modern, innovative technology. 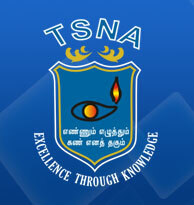 To enhance SN brand as a teaching & training institution. To disseminate knowledge through individual and collaborative instructions in a compassionate, inspiring environment to students from diverse socio economic strata. To nurture inquisitive talent and provide training in emerging healthcare technologies to extend student’s horizons beyond classroom education. To provide competent professionals to serve the community in healthcare sector with good training and practical skills. To eradicate blindness through education. To foster knowledge upgradation to sustain the expertise in the professional careers of the candidates.